The Lost Symbol - Decoding the ISBN (0385504225). From Solomon Key to Jupiter Square! 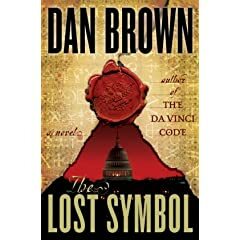 It occurred to me that for the first time in his career as a novelist Dan Brown was in the position to be extremely capricious, even to the most ridiculous degree. Remember, Da Vinci Code was his first success, quite unexpectedly. Deception Point and Angels and Demons only became widely known after Dan Brown became famous for his third novel. Now, why not use this opportunity to pick an ISBN that would carry some symbolic meaning? Wouldn't that be a nice touch to what Dan Brown's publisher hopes to be a highly successful book? There are variations in the way the numbers are oriented in the square. Of course, "serious" numerologists use Hebrew letters with their numeric values. Amulets containing the Jupiter table are supposed to bring wealth, prosperity etc. As far as I can tell, there are many Masonic amulets of this sort. One was supposedly owned by Joseph Smith, the founder of Mormonism. Took my roller, I was broke as I could be." I will add something else here... Some folks are saying that the complete ISBN includes 978. It looks like this is simply a translation of the number into a different ISBN standard (ISBN-10 to ISBN-13). In fact, it is difficult to find a book that does not have 978 as the first digits of ISBN-13, thus rendering this part of the ISBN unchangeable. See also: Knights Templar symbols. This page contains a single entry by RomanNumerals published on September 14, 2009 10:36 AM. What number system did the Romans use in complex calculations? was the previous entry in this blog. How to write 2011 using Roman numerals? Is it a lucky number? is the next entry in this blog.